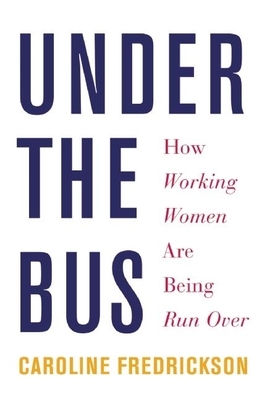 Called a "damn fine book" by Elle magazine, the hardcover edition of Under the Bus changed the conversation about women at work--the question is not only about those women at the top trying to "break the glass ceiling" but instead why millions are stuck on the sticky floor. Fredrickson shows that our labor laws are based on outdated, misogynistic, and racist assumptions that leave huge sectors of the workforce without a minimum wage or the right to unionize and subject to wage theft, physical and sexual abuse, and pregnancy discrimination, despite laws that purport to protect all workers. Laws are written through compromise and negotiation, and in each case vulnerable workers were the bargaining chip that was sacrificed to guarantee the policy's enactment. "Unpack ing] the history of the racism and sexism that has left so many working women and people of color without adequate protections" (Mother Jones) Under the Bus offers "a call to action for women who have been left behind in the fight to secure fair labor standards" (Washington Independent Review of Books). Caroline Fredrickson is the president of the American Constitution Society and a senior fellow at Demos. She was chief of staff to Senator Maria Cantwell and deputy chief of staff to Senate Democratic Leader Tom Daschle. She lives in Silver Spring, Maryland.